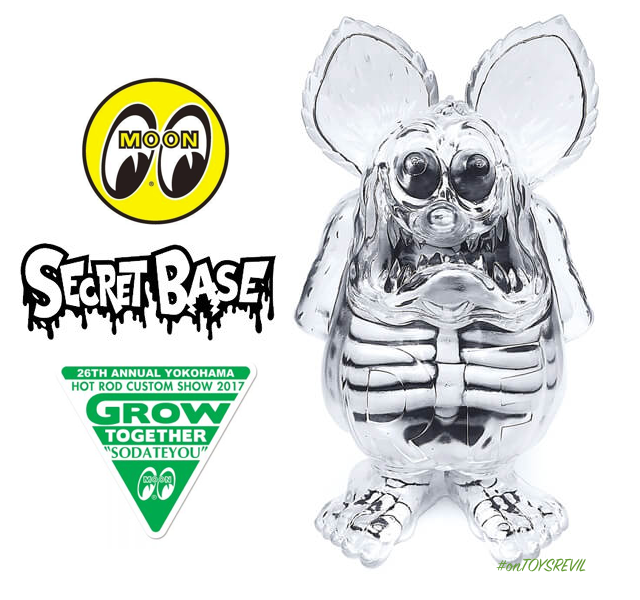 Japan’s Secret Base does RAT FINK in soft vinyl, with this “X-RAY DOLL” Edition available exclusively and physically “only” at this weekend’s “26th annual Yokohama Hot Rod Custom Show” (www), held on December 3rd, at Pacifico-Yokohama, Japan! 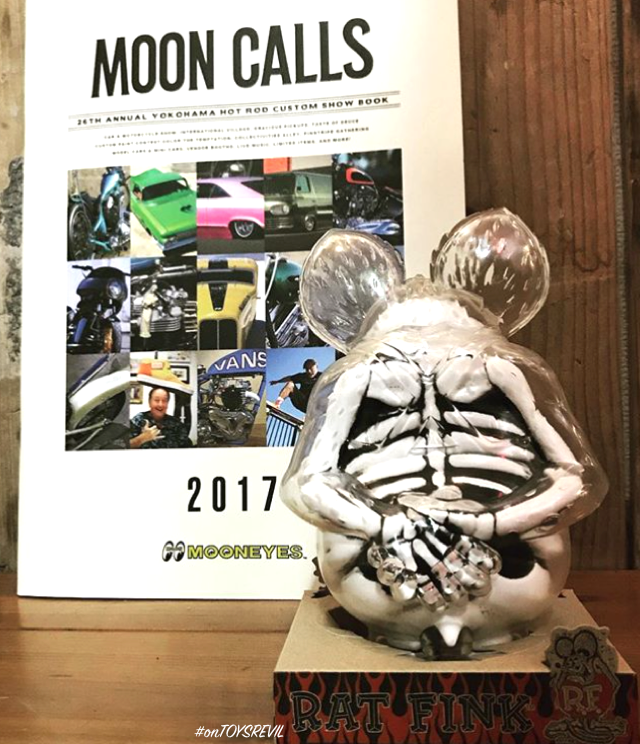 Sized 18.7cm (H) x 11.5cm (W) x 9.5cm (D), and priced at 16,200 yen (including tax), this toy will be sold at the MOONEYES booth around the entrance of the HCS2017 exhibition. No indication of online sales nor quantity, at time of this post, so you might want to stake out Instagram and/or Facebook for any possible availability updates! Meanwhile, here’s a stop-motion video to further tempt you of the NEED to own this!!!! reel/video embedded below, there sure is hella tons of hot rod awesomeness to be seen!